Thanks to everyone who entered this month's blog giveaway, we're so excited to see what inspires you on Pinterest! 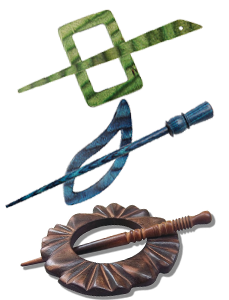 The following readers have won Knitter's Pride Shawl Pins: MaryGildersleeve, Wenchciara and Zandperl! We have contacted each winner via Ravelry PM to arrange for the delivery of their prize. Congratulations! We're very pleased to share a small preview of our Spring Collection with you today right here on our blog. 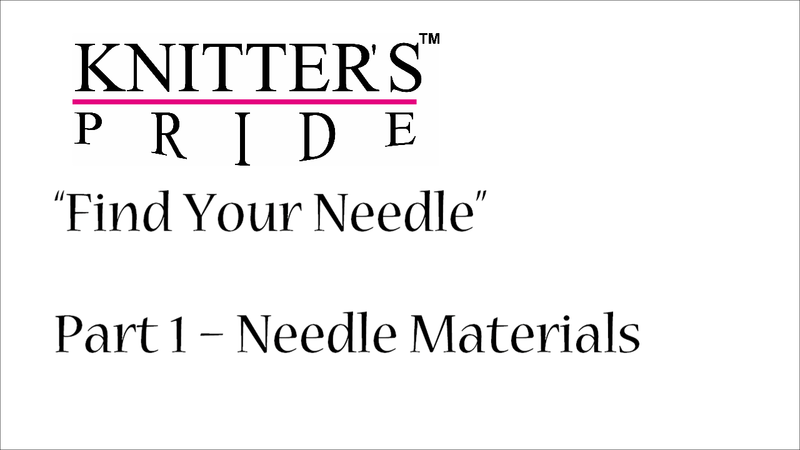 Since introducing our line of carbon fiber needles last year, we have had many requests from fans and shop owners for an interchangeable line of Karbonz needles. This year, we'll not only introduce Karbonz Interchangeable Circular needles to the line, but we'll also offer expanded size options for single point, double point and fixed circular Karbonz needles as well as DPN and Interchangeable needle sets. In fact, we'll be introducing many new & exciting additions to the Knitter's Pride family of products at the Handarbeit + Hobby international trade fair in Cologne, Germany next month which will be appearing at a yarn shop near you this Summer - stay tuned for more details! 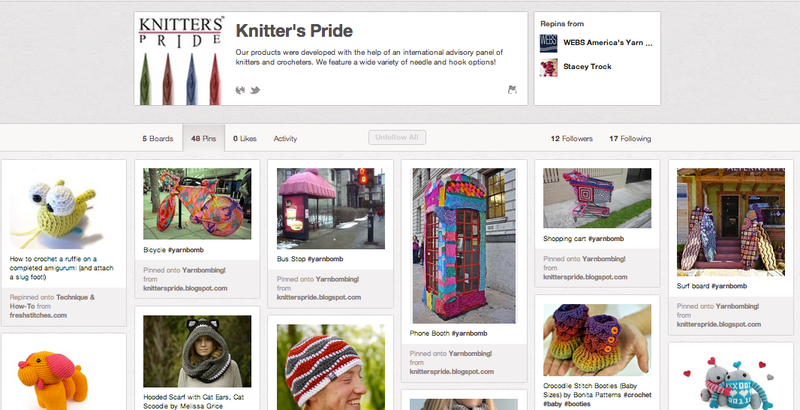 Exciting news: Knitter's Pride is now on Pinterest! Many of our fans are already sharing their crafty inspiration via pinboards. We've decided to join in the fun and share our favorite products, crafting tips, tutorials and pattern inspiration for our knitting and crocheting fans! We hope you'll stop by to see what we've been pinning and follow our boards. 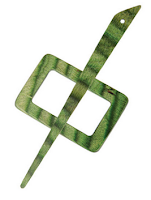 To sweeten the deal, we'll be randomly selecting three of our Pinterest followers to win a Knitter's Pride Shawl Pin on Friday, February 22. Leave a comment on this post to say hello and share a link to your own Pinterest board so that fellow Knitter's Pride fans can follow you! Also be sure to leave a way for us to contact you if you win (Ravelry ID or email address). Let's get pinning - Click here to follow Knitter's Pride on Pinterest!